A man has been arrested over the death of a woman whose body was found at a house. 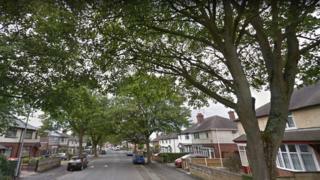 Paramedics discovered the 57-year-old woman in Sneyd Street, Stoke-on-Trent, on Thursday at about 15:15 GMT. A 61-year-old man has been arrested in connection with the death and is being questioned by detectives, Staffordshire Police said. A post-mortem examination is due to reveal the cause of death which is being treated as unexplained by police.